“My ancestors were cultivating native variety of groundnuts known as ‘Maradur’. The seeds have more oil content, good taste, bigger size and husk makes excellent cattle feed. In addition its roots have knots rich in nitrogen content. After every harvest the roots are left behind in the soil and it provides nitrogen fixation to the soil. In this way the next year crop get bumper yield even if no manure is used. 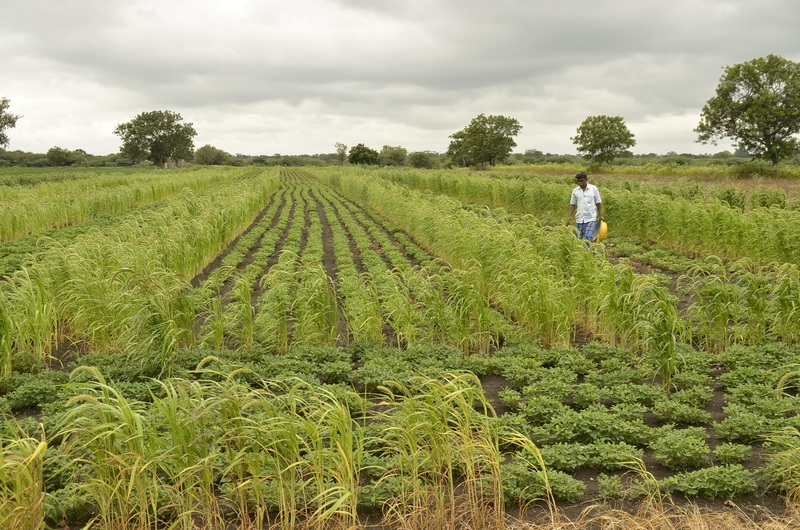 Mostly we cultivate wheat and chili in after harvesting Maradur groundnut to get high production. We grow chili in 8 acres and wheat is another 8acres. Post harvesting chili and wheat once again groundnut is cultivated. It is a distinctive variety of groundnut rarely found anywhere. I am lucky to have saved its’ seeds,” says Mr. Malleshappa Golappa Biserotti. Maradur groundnut grows well in red or black soil. It is grown keeping seed-seed distance as 2-3 inch and row-row distance 16inch. It is 4.5 month duration crop. It is sown in June-July and harvested in November-December. In one acre 60 kg seeds are sown and yield obtained is 5-6 quintal. “We also get half tractor of husk/acre to be used as cattle feed,” he adds. This groundnut variety is sold at Rs. 5000/quintal or more. 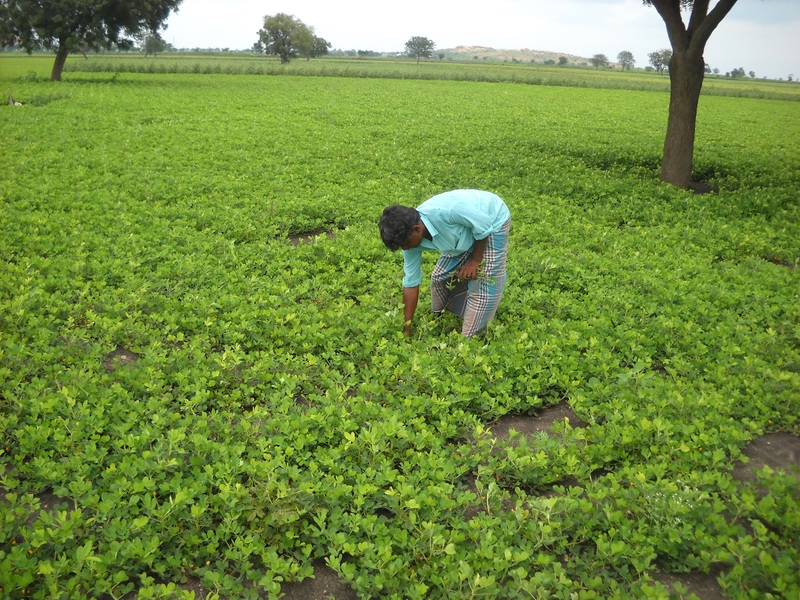 Mr. Malleshappa’s farm is located at Hirgunjal village, Dharward district, Karnataka. It is a 20 acre certified integrated organic farm having small dairy unit with locally found ‘Jawari’ breed cows, 16 neem trees and multiple crop cultivation. 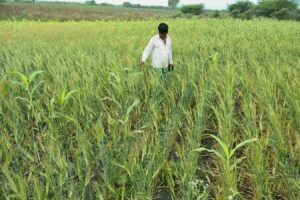 Crops are grown on rotation to refurbish the soil fertility such as marigold, green gram, urad, foxtail millet, groundnuts (maradur variety), groundnuts (G2-52), chili, jaider cotton, white wheat variety, jowar (m-35/maldandi), onion and marvel grass for fodder. “I get two litre milk/cow every day. Milk quantity is not sufficient for selling commercially but the dung and urine we get from cows is sufficient for making all manure and bio-pesticides for crop cultivation,” he states. Mr. Malleshappa experienced many problems like uncontrollable weeds, no-labour, lack of water, no-electricity, no access to farming equipments and machinery, non-availability of seeds etc. “I was in a pool of challenges from all sides with no ray of hope! I repented leaving the secured job in newspaper printing and turning the farmer. Amid the problems in farming I learnt growing agricultural produce without any chemicals fetches good returns so I decided to give it a try. I attended Subhash Palekar’s training session and referred books on organic farming. With little theoretical knowledge gained I began farming without chemicals. Slowly and gradually I started earning good profits. 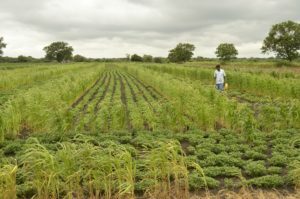 Today I feel proud to be a farmer and reaping monetary rewards of my consistent learning and implementing organic farming practices for past 10-12 years,” he shares. 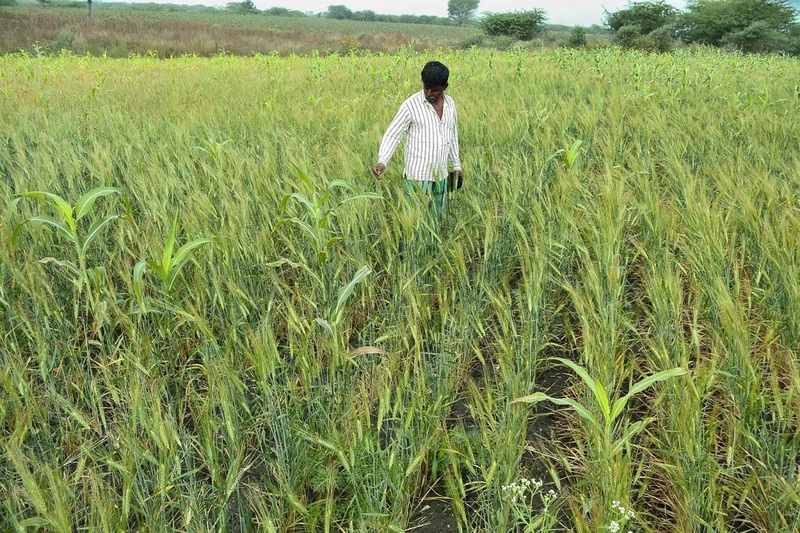 To safeguard the crops from pest attack Mr. Malleshappa prefers intercropping. Sharing the example he says, “In chili cultivation after 16rows there is one row of marigold (trap crop). This is to avoid the fruit borers that get attracted to the yellow colour of marigold. It lays eggs on the flower and when plucked the eggs fall down. The fragrance of marigold also helps to drive out the insects and pests.” Chili is harvested only when the entire plant dries up. Mr. Malleshappa prefers to sell his farm produce directly to the bulk buyers without any involvement of middleman. “Dealing directly with the buyers assures higher profit margins and it helps in developing new contacts. For example I am selling my farm grown red chili to a buyer for past seven years. I met him at a government organized ‘Chili Mela’. Our business relation is based on 100% trust where he asked me to grow chili without any use of chemicals and I sell him entire produce at the price of Rs. 210/kg irrespective of price fluctuations in the wholesale market. We both maintain our commitment to each other,” he emphasizes. Maradur groundnut and rest of the produce is sold at Jaivik Society, near Lalbagh, Bangalore at the price higher than the market price as all the produce is certified organic. In future he plans to invest money only on cows. He also wants to provide organic food for his villagers therefore encourages other farmers to take up zero budget farming.